It will be displayed two sets of previously unknown photographs, which are keeping in the Bakhchisaraysky Reserve and Archive of the Russian Academy of Sciences, on which depicted the expedition of Crimean people, which took place at the beginning of the 20th century. 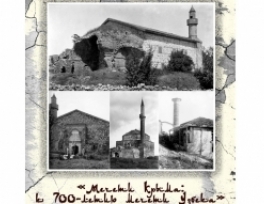 "This year marks the 700th anniversary of “Uzbek” mosque, built in 1314 in Solkhat - Old Crimea. During the expedition carried out in the 20-ies of the 20th century, was identified a significant body of archaeological material associated primarily with the madrassas and the cemetery, which were part of the “Uzbek” mosque complex", - the press-service of the reserve. Organizers said that the main objective of the exhibition is to show mosques of Crimea, which were built in different historical periods and located in different regions. 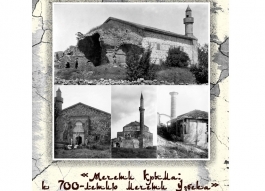 "Our photo exhibition is unique, because a quantity and variety of Muslim religious sites of the Crimea will be presented for the first time. The exposure would help to learn the Islamic past of Crimea "- said in a statement. After the exhibition to be held in Bakhchisarai it will be presented in Moscow at the building of the All-Russia State Library for Foreign Literature.